Chloramines, (also known as monochloramines ) is chlorine combined with ammonia. The chemical has become a popular alternative to free chlorine for water treatment, because it has less odour. 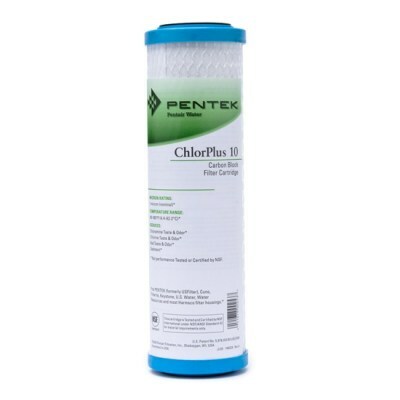 The Pentek ChlorPlus-10 Chloramine Water Filter Cartridge is a 2.5 x 10 Inch Carbon Block 1 Micron Water Filter cartridge which will fit most standard 2.5 x 20 Inch Housings. 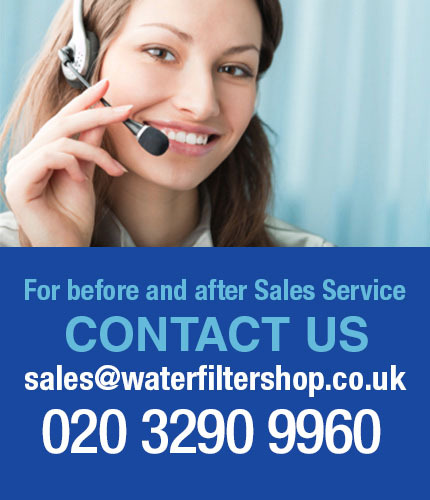 The filter is designed to remove chloramines from drinking water in high flow and whole house applications. ChlorPlus Water Filter is a premium, high capacity Chloramine, Taste and Odour reduction cartridge that also reduces chlorine and sediment. The ChlorPlus cartridges represent a vast leap forward in carbon design technology, with higher chloramine removal than any of our other carbon blocks.